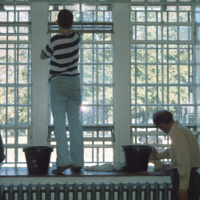 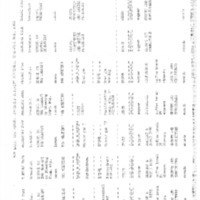 Community Activity Schedules for G-Ward for the periods of May 22-29, 1966 and October 24-31, 1966 with explanatory text. 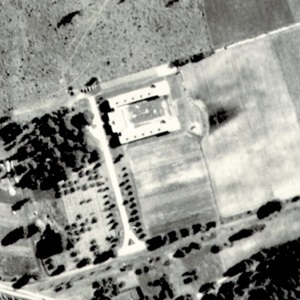 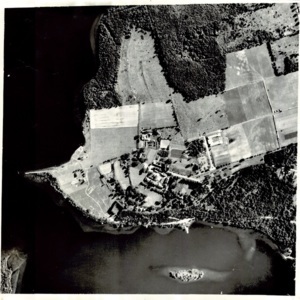 A close-up of an aerial photograph taken of the grounds of the Ontario Hospital, Penetanguishene between 1933 and 1956 showing the Criminal Insane building prior to the addition of two additional wings made in 1957. 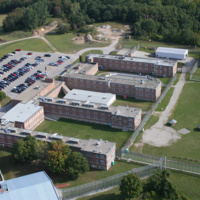 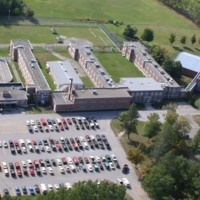 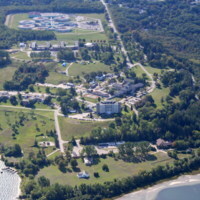 Aerial photograph of the grounds of the Mental Health Centre Penetanguishene. 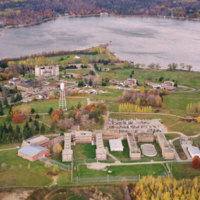 The neighbouring Central North Correctional Centre is also visible. 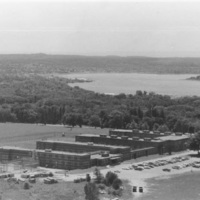 Aerial photograph of the Oak Ridge site.